As an alternative choice for ExpressCard, PCMCIA, Ethernet or USB connections, developers can use a family of avionics devices that feature the Thunderbolt 3 interface, including Thunderbolt 3-to-PMC/XMC interfacing with ARINC 429 and MIL-STD-1553 protocols. Abaco offers platforms with integrated Thunderbolt 3 to establish a new standard for high-speed, low latency portable devices for a range of avionics applications. All of the Thunderbolt 3-equipped products include a rugged, aluminium design and Power-over-Thunderbolt 3 to maximise portability. The RCEI-830A-TB supports up to 16 Tx and 16 Rx ARINC channels with a range of flexible I/O configurations. It provides complete, integrated databus functionality for ARINC 429, ARINC 615-3 dataloader, ARINC 717, ARINC 575 and selected two-wire, 32-bit protocols. Configurations with ARINC 717 support for both ARINC 717 Harvard bi-phase (HBP) and bi-polar return to zero (BPRZ) across a range of bit rate/sub-frame combinations. 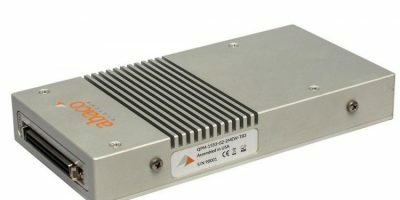 The QPM-1553-TB provides performance, flexibility and interface density for MIL-STD-1553A/B, says Abaco. Standard features include 1MByte of RAM per channel, real-time bus playback, aperiodic message insertion, error injection/detection, conditional BC branching, 64-bit and 25 nano second message time tagging. The new product family is backwards compatible with many existing Abaco avionics devices. The company has over 30 years’ experience, providing open architecture computing and electronic systems for aerospace, defence and industrial applications. It specialises in modular solutions based on open standards.